“Seahorse and Swirls” – captures the delightful nature of this awesome sea creature. 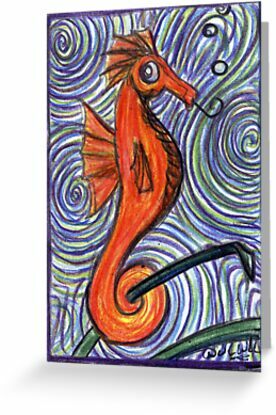 The seahorse is a vivid citrus orange, in sharp contrast to the artistic blue and green swirls that represent his underwater habitat. Purple and black borders frame the piece.